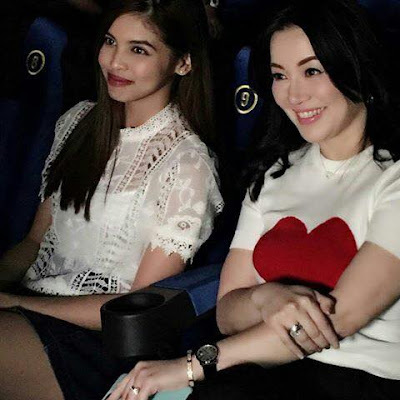 MAINE MENDOZA was interviewed by Kris Aquino as she now belongs to the same management company of Mr. Tony Tuviera. This will be aired in Kris’ digital talk show that will allegedly air soon. They even went to see “Enteng Kabisote 10” together at UP Town Center and a lot of people want to have their picture taken with Maine while Kris was just an amused bystander. This shows that Maine is really the darling of the crowd at the moment. For 2017, fans of Maine and her AlDub love team with Alden Richards can look forward to their first primetime drama series on GMA-7, a romantic-comedy with a touch of drama that is tailor made for them. This means that their Kalyeserye in “Eat Bulaga”, where they were already shown getting married, will soon have its conclusion since we don’t think it’d be practical for them to have a primetime soap and still do a noontime Kalyeserye.